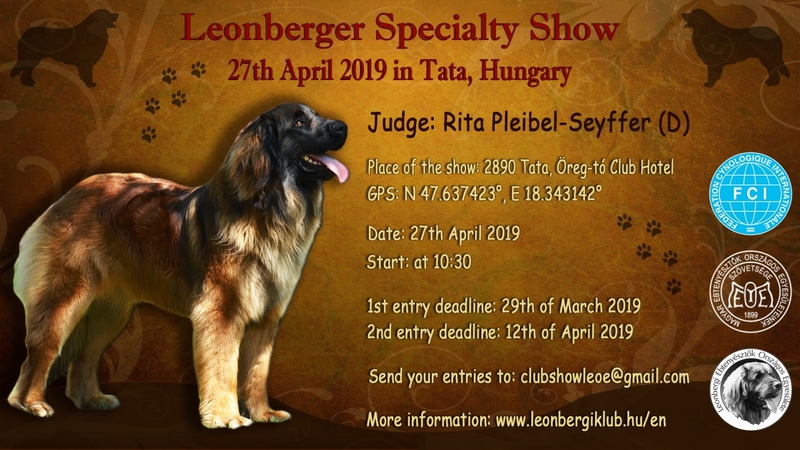 We would like to invite you to our yearly Specialty Show on 27th April 2019, in Tata. Our event will be organized at the area of Öreg-tó Club Hotel in Tata. You can find more information in Events -> Programs, and here you can find our Facebook event: Click!